Great Show Cows: Can they pass it on? 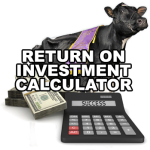 We see these huge sales prices for great show cows all the time. 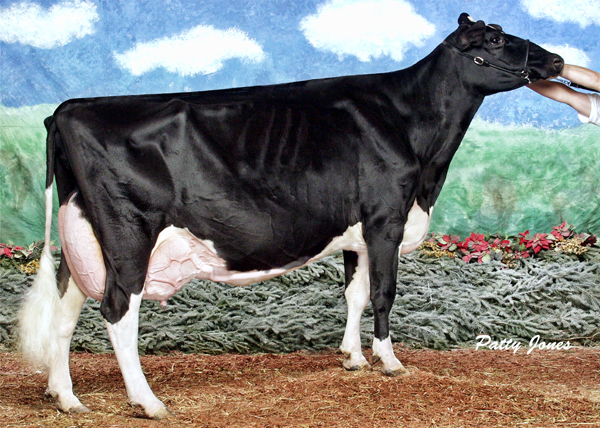 We recently saw RAINYRIDGE TALENT BARBARA EX-95 sell for $230,000 or Eastside Lewisdale Gold Missy EX-95-CAN selling in 2009 for $1.2 million . They only way to support sales prices like that are to breed great cattle from these cattle. With that, we decided to take a closer look at how some of the great show cows from the past have done. In our article Show Cows: All Type and NO Action?, we look at the pedigree of the current crop of show cattle. In this article we are going to look at how some of the great show cows of the past 20 years have done on the breeding side of the equation. These five cattle are excellent examples of great show cattle that were able to pass it on. In contrast, however, there is the great ACME STAR LILY EX-94-4YR-USA 8*, who despite being a 3 time grand champion at the Royal and probably one of the greatest show cows of all time, has been unable to pass that legacy on. 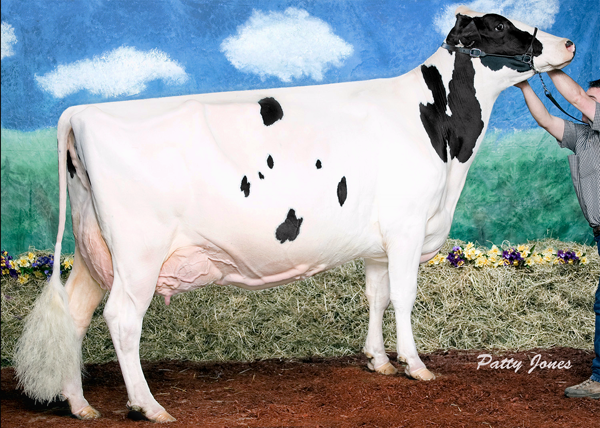 Others who have had this challenge include LAUDUC BROKER MANDY EX-96-4E-USA 5*, who despite have a great daughter- LAUDUC ASTRE MANILLE EX-CAN 6* (ALL-CANADIAN SR.2-YR 1997) – was also unable to pass it on through her sons. This just goes to show that just because a cow may be the greatest show cow walking the planet at that moment, it does not guarantee that she will be able to pass it on. Wee Acres Spider Clara Bell Spins her Winning Ways at Expo! Six Times! Tamara EX(97) 4E ,All-American and All-Canadian is the only one with a plus proven son for production & type and her list of EX dtrs. is just as impressive.